Potvin, Gilles. "Alfred La Liberté". The Canadian Encyclopedia, 12 July 2016, Historica Canada. https://www.thecanadianencyclopedia.ca/en/article/alfred-la-liberte-emc. Accessed 18 April 2019. La Liberté, (Joseph-François) Alfred. Composer, pianist, teacher, lecturer, b St-Jean, Que, 10 Feb 1882, d Montreal 7 May 1952. He was no longer a child when he took up the piano, studying with a Miss Malsberg, J.-B. Denys, R.-O Pelletier, Dominique Ducharme, and Émiliano Renaud. La Liberté, (Joseph-François) Alfred. Composer, pianist, teacher, lecturer, b St-Jean, Que, 10 Feb 1882, d Montreal 7 May 1952. He was no longer a child when he took up the piano, studying with a Miss Malsberg, J.-B. Denys, R.-O Pelletier, Dominique Ducharme, and Émiliano Renaud. As early as 26 Apr 1902, Le Passe-Temps published his patriotic song 'Le Canada,' on a text by Octave Crémazie. In 1902 La Liberté went to Berlin, where he spent four years at the Stern Cons, studying with Paul Lutzenko (piano), Ernst Baeker (harmony), and Wilhelm Klatte (counterpoint and composition). His success in competitions ensured that his grants from the German government were renewed. He played at the ducal court of Cobourg and the imperial court of Berlin in the presence of Wilhelm II. Back in Canada, he gave a highly successful recital 22 Nov 1906 at the Monument national and taught at the Conservatoire national in Montreal and the Ottawa Conservatory. Hearing of the arrival in New York of Alexander Scriabin, a composer whose works he admired, La Liberté wrote the Russian musician in February 1907 and at his invitation travelled to New York. On Scriabin's advice he then left for Europe, spending some more time in Berlin, where he worked with Teresa Carreño. He joined Scriabin in Brussels, becoming his pupil and disciple. La Liberté gave recitals in London, under the aegis of Emma Albani and Lord Strathcona, and in Germany. Returning in 1911 to Montreal, La Liberté opened a studio and began promoting the works of Scriabin. Two years later he also opened a studio in New York and gave courses and lectures, but the war put an end to the venture. In Montreal he taught 1926-35 at the mother house of the Sisters of the Holy Names of Jesus and Mary (École Vincent-d'Indy). Among his pupils were Hélène Baillargeon, Morris Davis, Gérald Desmarais, Hector Gratton, Djane Lavoie-Herz, Antonio Létourneau, Marie-Thérèse Paquin, Wilfrid Pelletier, and Bernard Pinsonneault. The friendship between Scriabin and his Canadian disciple deepened to the point where the composer entrusted him with the manuscripts of some of his works, including Poem of Ecstasy and Sonata No. 5. These precious manuscripts remained in Montreal until 1972, the centenary of Scriabin's birth, when La Liberté's widow herself placed them in the Scriabin museum in Moscow. La Liberté also had a profound admiration for Nicolas Medtner and Marcel Dupré. Medtner dedicated to him his Sonata minacciosa, Opus 53 no. 2 and his song The Captive, Opus 52 no. 7, and Dupré his Variations, Opus 22 for piano. Few of La Liberté's major works were finished. The most ambitious, Soeur Béatrice, an opera in three acts with text by Maeterlinck, exists only in piano score and has never been staged. Excerpts were performed in concert, in particular by the tenor Rodolphe Plamondon. La Liberté's Passacaille et choeur final for piano, organ, orchestra, and wordless chorus remained unfinished. A cycle of 15 songs with orchestra or piano on poems from La Chanson d'Ève by Charles van Lerberghe is almost complete. Three excerpts, published by Eschig in Paris, had numerous performances in their day. 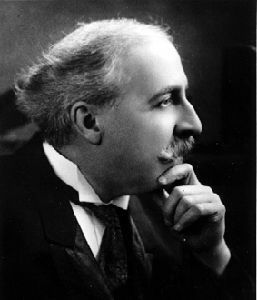 La Liberté also wrote pieces for piano, violin, and string quartet and a number of harmonizations of French-Canadian, Scottish, English, US, Indian, and Inuit folksongs, some published by Eschig under the title Recueil de chants populaires du Canada (Paris 1925) and others appearing in Le Passe-Temps. He also contributed articles to Le Passe-Temps, including one on Scriabin (May 1946). The CMCentre has granted him associate status posthumously. Alfred-Laliberté St, Montreal, and a studio at UQAM, are named not in honour of the musician, however, but of his namesake, the sculptor (1878-1953).